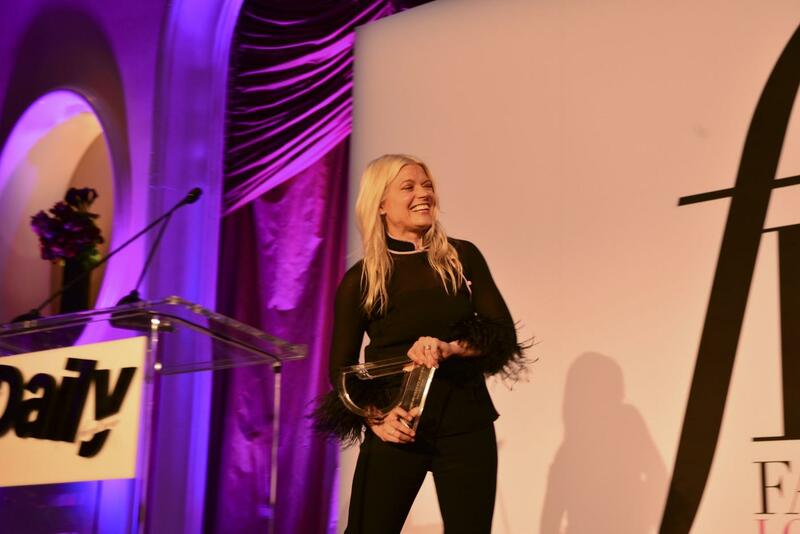 On Sunday, April 8, The Daily Front Row hosted the fourth annual Fashion Los Angeles Awards at the iconic Beverly Hills Hotel. The awards honored a wide range of luminaries and creators in the fashion industry including Jeremy Scott, who was honored as “Creative of the Year,” Stuart Vevers of Coach, who received the award for “Designer of the Year,” and “Model of the Year” honoree Emily Ratajkowski. Guests – including Paris Hilton, Frances Bean Cobain, Nicole Richie, and Chrissy Teigen and John Legend – walked the red carpet, before proceeding inside for cocktails and wine provided by Kim Crawford. A giant MCM-branded teddy bear and leather jewelry box-turned-bar offered plenty of chances for playful selfies, as did a flower wall covered in roses and Maybelline SuperStay Matte Ink lip color. 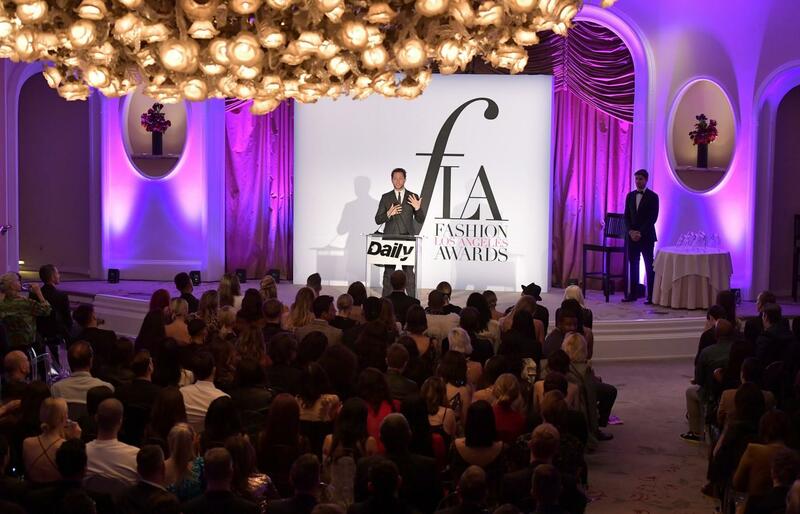 The awards ceremony kicked off at 7:00, with Derek Blasberg on hosting duty. Check out all the presenters and honorees below. 3. Photographer of the Year: Alexi Lubomirski, presented by Kyle Hagler. “I really love what I do. I’m really thrilled that I get to work with sparkly dresses and the most prettiest women in the world every day. I’m so grateful,” Kate Young said from the dais. “For me, diversity is modernity in terms of race, gender, and identity. At Coach, I want to be completely inclusive to everyone because that’s what I think America does at it’s best,” Stuart Vevers said accepting his award. “As somebody a little outside the box, sometimes I feel, well, a little outside the box. But you guys always make me feel at home and loved and cherished,” Jeremy Scott said collecting his award. Check out more fun pics from the event below. Major thanks to our sponsors Maybelline New York, MCM, LIFEWTR, Moroccanoil, PrettyLittleThing.com and Kim Crawford Wine.